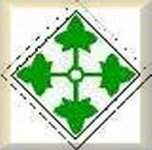 The 4th Infantry Division Assoc. The 4/9 Infantry (Manchus) Site 65th Engr. Bn. (Active duty 25th ID Light. 2/12 Inf. "White Warriors 5/60 Inf. 2/32 Arty D Trp.,3/17 Cav "AeroRifles"
116 AHC Hornets 242 ASH "MuleSkinners"
588th Engineers 372 Army ASA Co.
35th Inf "Cacti" 25th Avn. Chris Woelk's VERY EXCELLENT A/7/11 FA site. live Q & A sessions, interactive resources, blog, and much more. The Vietnam 2/22 Inf. "Triple Deuce"
remember as being a veteran.